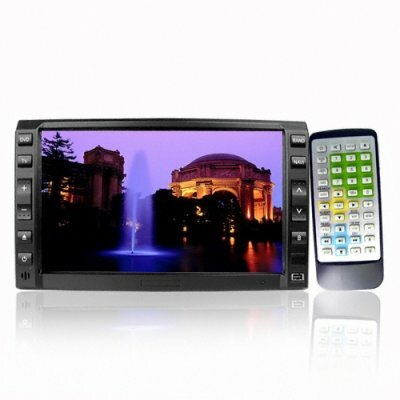 Successfully Added 6.2 Inch 2-Din DVD Player - Touch Screen + TV Tuner to your Shopping Cart. Wholesale 2-Din Car DVD Player with a 6.2 inch widescreen 16:9 TFT high definition LCD, full touchscreen control, and a built in TV tuner. Other features include a built USB port and SD memory card reader for playing digital files, two AV OUT connections as well as an AV in for many connection possibilities such as a rear view cameras and a fully motorized and adjustable sliding front panel. This low priced Double Din DVD player is guaranteed to be a profitable item to sell, and will not disappoint anyone who buys it for personal use..